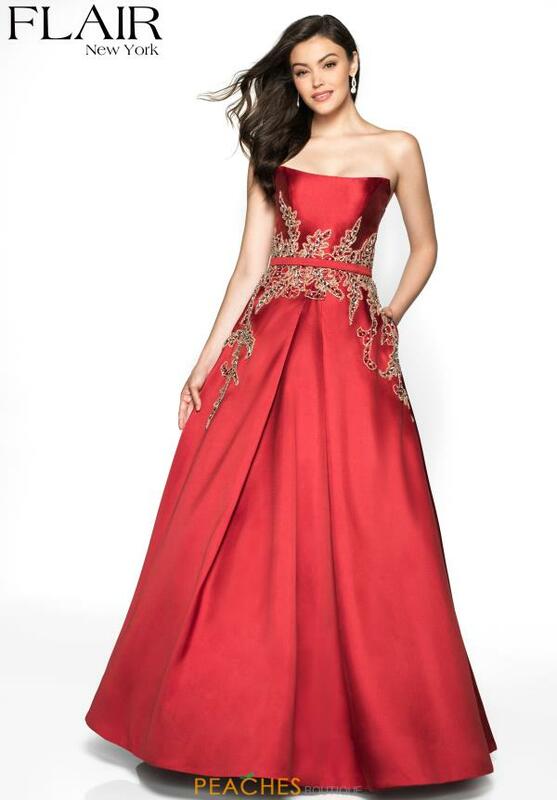 This regal strapless dress 19208 is embellished with contrasting bead work. Featuring a strapless neckline with a partially opened back, enclosed by a hidden zipper. The entirety of the gown is made from a thick Mikado material that is very figure flattering. The midriff area offers a contrasting beaded design that scatters down to the hips.